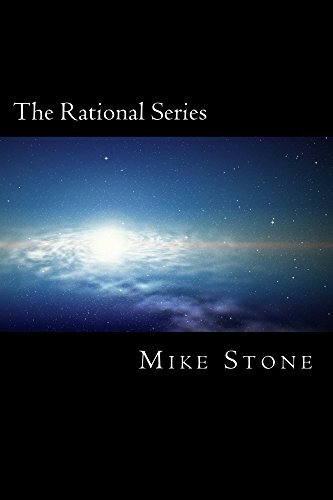 The Rational Series, The complete set of novels from The Rational Series by Mike Stone, including “Why Is Unit 142957 Sad? (or The Tin Man’s Heart), “The Rats and the Saps”, “Whirlpool”, and Out of Time”. The first novel is about a love affair between a robot and the beautiful programmer who created it, in an epic spanning millions of years and two galaxies. The second novel is about a war between Sapiens and a new species of humans, called Rationals. The third novel is an experimental psycho-science-fiction story taking place sometime in the future, involving an author in a mental institution and his characters. The fourth novel is about a battle to save the universe, between Rationals and Sapiens on one side and a species far superior to them. All this in one book! If you love science fiction (or if you love someone who loves science fiction), this will make an amazing Christmas present. The four novels in paperback would cost you $75.84, but from now until Christmas you pay only $29.95! Don’t wait! Click now. It’s the rational thing to do.